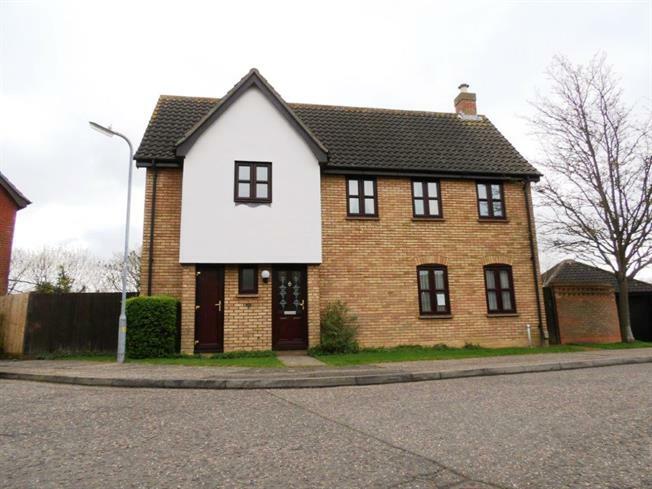 4 Bedroom Detached House For Sale in Chelmsford for Asking Price £450,000. Public Notice - 14 Walford Place, We are acting in the sale of the above property and have received an offer of 425,000. Any interested parties must submit any higher offers in writing to the selling agent before an exchange of contracts takes place. No onward chain, this four bedroom detached family home in a particularly sought after part of Chelmer Village with a pleasant and secluded rear garden and double garage. The first floor accommodation offers four bedrooms with en-suite shower room to the master bedroom and a family bathroom. To the ground floor is a spacious lounge, separate dining room in addition to a good sized fitted kitchen with appliances leading through into the separate utility room. The home also has a ground floor cloakroom.